Led by Principals Brandon Hanna, Deno Bistolarides and Ryan Vinco the team of distinguished brokers have evaluated, sold and marketed over $5 Billion dollars worth of investment real estate nationally. 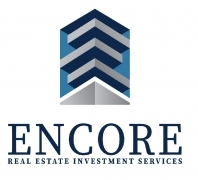 We have a combined track record of investment real estate sales experience spanning 50 years. Through this experience, we continue to execute transactions on behalf of some of the most prominent developers, institutions and private investors in the industry. As such, we continue to build long-term relationships with the leaders in the investment community and grow our global database of investors and developers, which enables us to provide our clients with real estate investment services that are unmatched in the industry. We are results oriented - our advisors all have a shared vision of excellence and commitment to ensuring our client's needs above all else.